Desperados Wanted Dead or alive Re Modernized Includes a long lost demo mission where Cooper, Doc and Kate free a town from Outlaws. A challenging level from back in the old days when some games still had rather difficult demos. “Desperados: Wanted Dead or Alive” is the first strategy game ever to combine a movie-based and story-driven atmosphere of an adventure game with the intellectual challenge of a real time tactic game. El Paso, a typical Wild West town in the southwestern United States near the Mexican border. It is the year 1881. For the last few months, the trains belonging to the famous railroad company, Twinnings & Co have been the target of a whole series of hold-ups and ambushes. The management of the company has decided enough is enough and they have to put an end to the raids. It has offered a reward of $15,000 for anyone who captures the leader of the gang responsible. 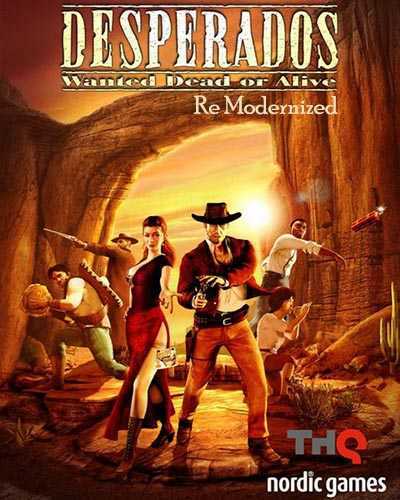 6 Comments ON " Desperados Wanted Dead or Alive Re Modernized Free... "